Biography of Pi. Es. 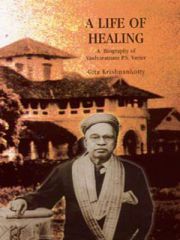 Våariyar, 1869-1944, Ayurvedic physician from Kerala, India, founder of Kåoòtòtaykkal åAryavaidyaâsåala, organization for manufacture, sale, and propagation of Ayurvedic medicines and treatment.